Hooray! 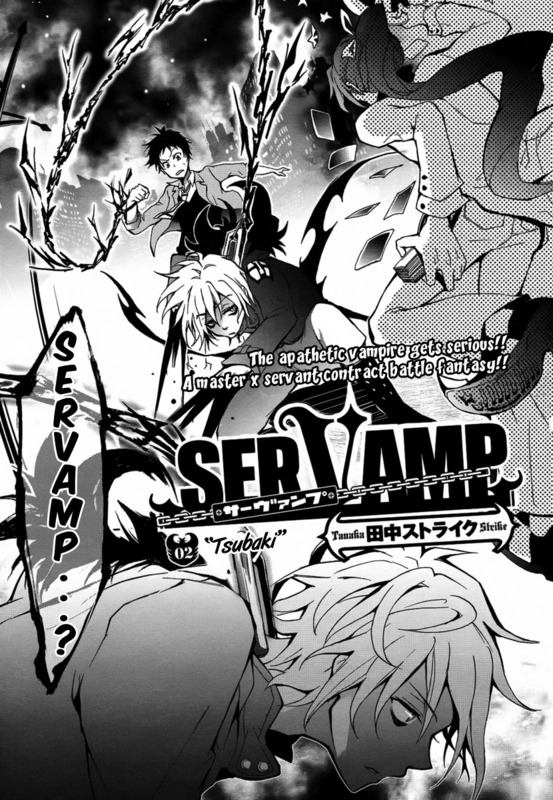 “Servamp” is back! I’m sorry for the long delay! We now have a dedicated translator and typesetter for the series, so it should come out now once every 1 or 2 months. I enjoyed this second chapter more than the first. The pacing is a lot better and the Sleepy Ash character seems to be growing in complexity. I want to know more about him and his relationship to his brothers. In this chapter we meet the first of his brothers, Tsubaki. Tsubaki in short could be called nihilistic. The question is why does he want to crap on everyone’s parade. I suppose we’ll learn more in chapter 3!Onto the link! Posted on April 25, 2012, in Servamp and tagged Tsubaki. Bookmark the permalink. 15 Comments. thank you so much! really interesting and fun! I think the cat is rather cute but the vampire man is rather lazy one. Heh, like many here.. Wasn’t too keen on this first chapter (but really liked the main character).. mainly due to it being about vampires…>_> BUT! This was a good chapter. They revealed that guy, rather quickly.. but, it’s getting more interesting. Thank you for the release (was able to read it on my mommy’s nook..lol).